Is it just me, or is this summer really speeding by? Since it hasn't been very warm or "summery" this year, I decided to create my own sunshine and made a trip to the Farmer's Market to pick up a few of my favorite flowers! 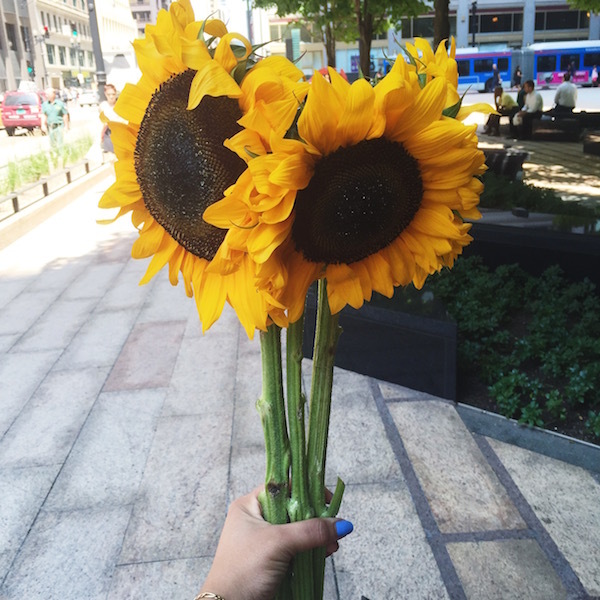 (If you ever want to make my day, buy me sunflowers) Now my workspace at the office is looking a lot brighter. Now let's get to this look! As you may have already realized, I'm all about the shopping deals. 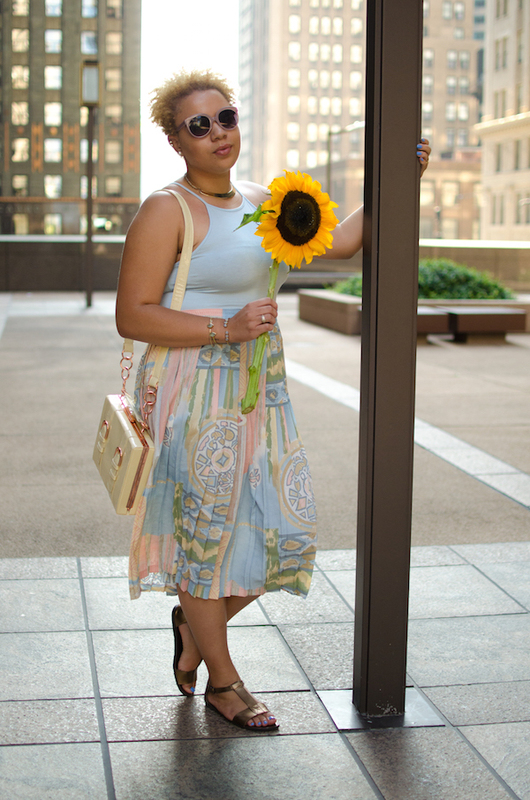 I paired this thrifted skirt with pieces that I picked up at one of my favorite places to shop..the Urban Outfitters Surplus store. After I discovered this magical place a few years ago, I decided from that day forward that I would probably never spend full price at a regular UO every again! I've actually gotten a pair of Jeffery Campbell's there for $20! 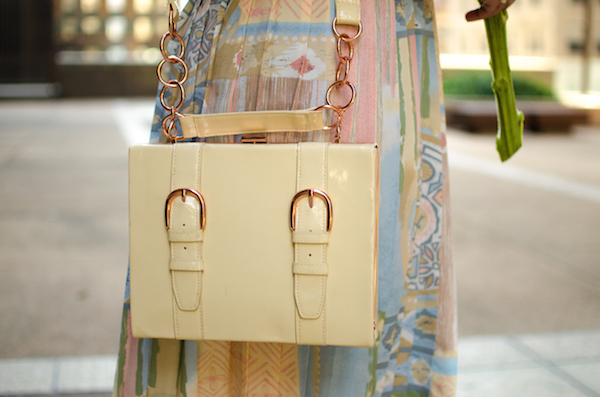 I picked up this beautiful purse for $10 and these Vagabond sandals (retailed at $100) for only $5! Do you have an Urban Outfitters Surplus store in your area? If you're not sure, I'm sure that you want to find out right now don't you? I'm so bad at finding good deals at the surplus store. Looks like you're awesome at it, though!